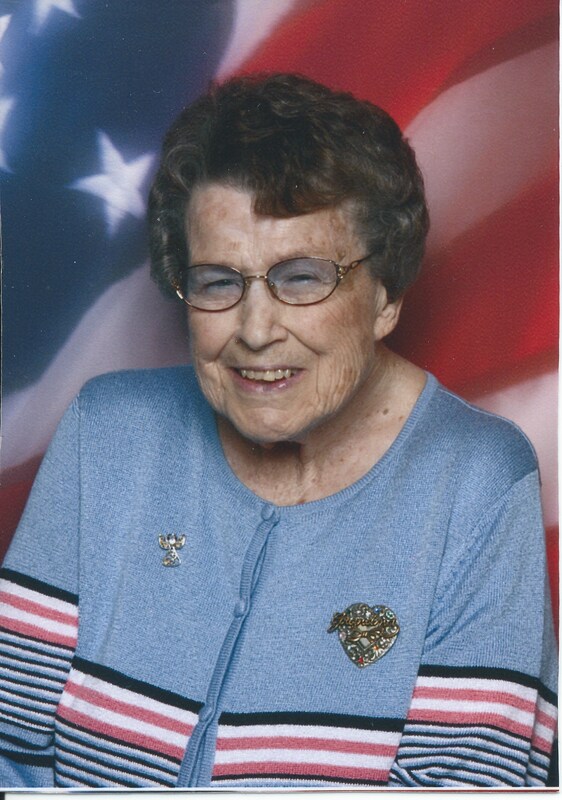 St. Joseph, MO…….Alta L. (Holcomb) Shoemaker, “ Grandma Shoe,” of St. Joseph, Mo., went to be with Jesus, on July,13, 2018 @ Mosaic Lifecare, in St. Joseph, Mo. Funeral service will be held @ Turner Family Funeral Home, Stewartsville, Mo. on Tuesday, July 17, @ 10 A.M. with Pastor Vernon Maggart of Freeman Chapel officiating. Christian Burial will follow at Miriam Cemetery in Bethany, Mo. Visitation will be held on Monday, July 16, at Turner Family Funeral Home, where the family will receive friends from 6-8 P.M.
She and her husband owned and operated the Filling Station in San Antonio, Mo. for 37 years. Alta was also a devoted homemaker, a talented seamstress, and enjoyed making beautiful crafts and puzzles. She was a member of the Freeman Freewill Baptist Church. The love of her life were her grandchildren. Alta is survived by her daughter, Sharon(Virgil) Freeman, granddaughters, Shelly(David) Rapp, Sherry(Jeff) Hodges, and Jill(David) Southern. Seven Great grandchildren, Ashley, Corey, Chelsie, Colby, Haylee, Cooper, and Rebecca. Two great, great granddaughters, Grace Lucille, and Grace, as well as many relatives and a multitude of friends. She was preceded in death by her husband,parents, and son Garry Shoemaker. Sisters, Lucille Slinkard, Elva Hudson, and Arleyne Pash, a brother, Delbert Holcomb. Memorial contributions may be made to: Freeman Chapel in care of Turner Family Funeral Home, Maysville, Mo. Many prayers go out to Miss Alta and her family. I only knew her the last couple of days, but she was truly a jewel. Her faith and love for her family sparkled through her eyes. I know she will be deeply missed by all. I will never forget Alta. She always had an ear for me when I was having a bad day and I will forever be greatful to her for that. The years I spent working at Country Squire were tough years, but the best part was Alta. I’m so glad I went to visit her some weeks ago she always had a way to brighten my day. I will miss her terribly. Please accept our sincere condolences in the loss of your ” Grandma Shoe”. We know you have wonderful memories to comfort you and a loving God to sustain you. Please accept our sincere condolences in the loss of your ” Grandma Shoe”. I know that you have wonderful memories to comfort you and a loving God to sustain you. Our deepest condolence in the loss of your loved one.